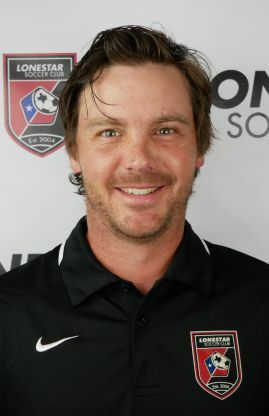 Jeff is originally from Dallas, TX, where he won a national championship with the Dallas Texans at the club level. He was a member of the U20 & U23 Men's National Team Pool. He received a scholarship to Southern Methodist University where he was a 4 year starter and captain his senior year. While at SMU, Jeff received conference and regional accolades for his play, and studied Psychology. After his time at SMU, Jeff played in Germany with FC Nurnberg II and professionally with the Austin Aztex in the USL-1 Pro league. Jeff has been coaching at the club level for 6 years now. Two of those years were spent in Wyoming and the other 4 with Lonestar Soccer Club.